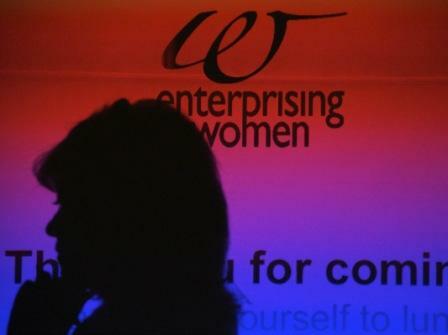 The launch of a new programme to help local women in business has been proclaimed a success. Last week, more than 40 businesswomen attended Cornwall Enterprising Women’s (CEW) networking lunch, to discover how its Growth Programme, beginning in January, could help them take their business to the next level. Network and event coordinator for CEW, Josie Purcell, said: “We had a fantastic response to the launch of our Growth Programme which is designed to assist women in business with turnovers of around £100k develop a strategic action plan to push their companies, and them, even further to achieve greater success. Anyone unable to attend last week’s event but keen to apply for the European Social Fund fully funded eight-part Growth Programme, which is being delivered in partnership with Truro and Penwith College, can still do so by December 6. A programme brochure and downloadable application form are available by clicking here. The course will focus on all the key challenges of taking a business to the next level, including options for growth, building sales pipelines, marketing, negotiations, segmentation, competition, cash-flow, finance, confidence, leadership and management, personal work styles and effectiveness, hiring the right people and growing teams. The next event for CEW is being held on Friday, December 10, in Truro and will focus on how to build relationships with the media to ensure your business gets the best coverage. A few weeks ago i attended a women and wealth event in the midlands and saw Gill Fielding speak. She had some fantastic insights, maybe you could invite her to your next event?